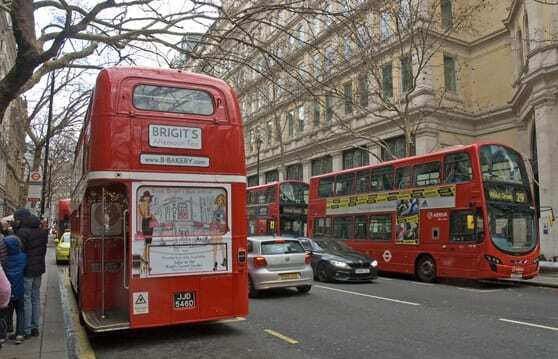 To foreigners double deck red buses and afternoon high tea are the utmost British clichés. 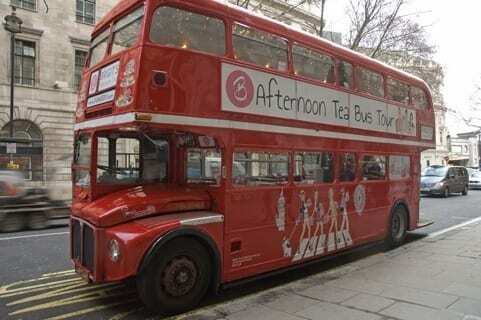 But bring them together and you get a totally new concept, the Afternoon Tea Bus London Tour. 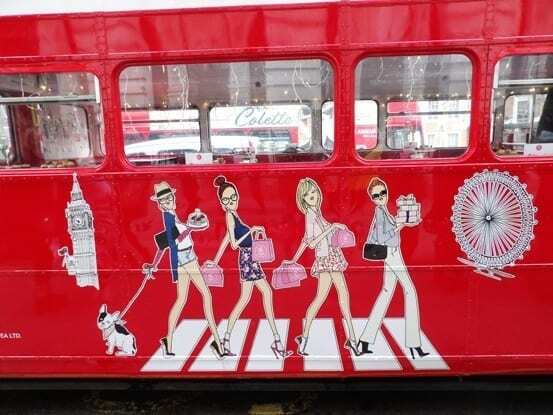 Created by Brigit’s Bakery a few years ago these bus tours of a new kind are getting more and more popular with tourists and Londoners as well. 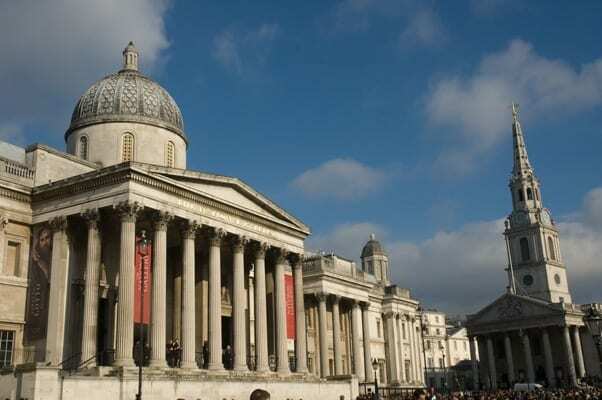 Get on board to enjoy central London’s best sights and a delicious high tea. B Bakery Covent Garden often simply called Brigit’s Bakery is a trendy tearoom in the heart of busy Covent Garden. Its big cake counter filled with a wide selection of sandwiches, cakes, cupcakes or scones all freshly made by a unique team of French pastry chefs attracts many gourmets for breakfast, lunch or high tea. 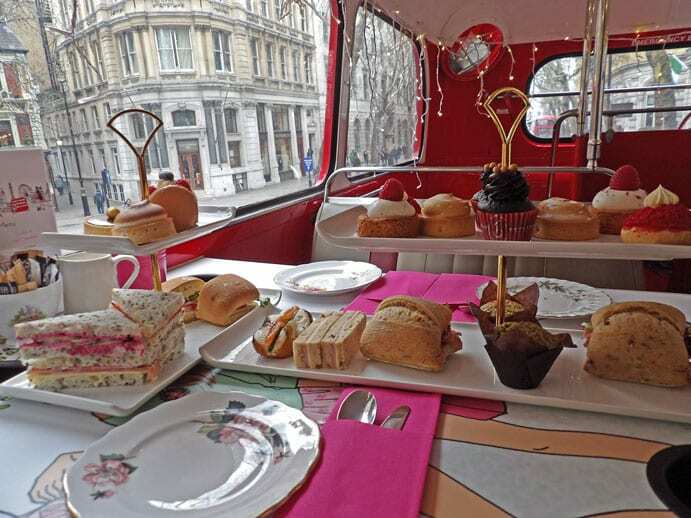 We had the opportunity to test an afternoon tea on board one of their vintage double deck buses and we had a real good time. When entering the bus we discovered tables already filled with delicious looking sandwiches and cakes. The bus can seat 32 people on its two decks (12 on the lower deck and 20 on the upper one) living plenty of room for every guest. Booking is needed to get on board. 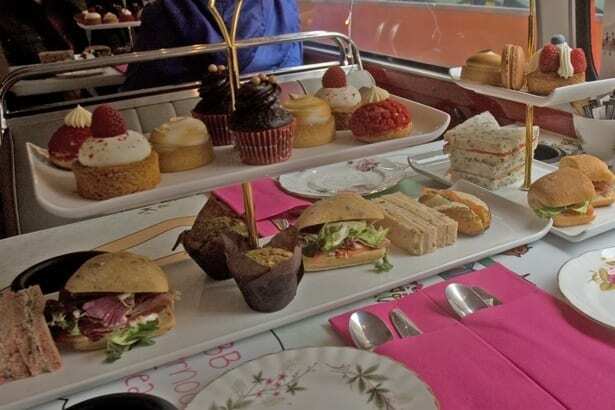 When making your reservation you can choose from a selection of dietary options: traditional, gluten free, vegan, vegetarian or halal afternoon teas. Each one is a hearty serving including savouries such as smoked salmon pretzel, pastrami burger with tomato, ham and cheese sandwich, spinach and feta muffin, cucumber and cream cheese sandwich, all made with different kinds of bread. Next come the cakes! We had lemon meringue tarts, vanilla and raspberry jam choux, Queen sablé and cream cheese mousse, chocolate mini cupcakes, fudge and chocolate tartlets. Nice young ladies soon served us coffee, hot chocolate and teas from Betjaman & Barton. When booking you can also ask for a glass of chilled Prosecco! 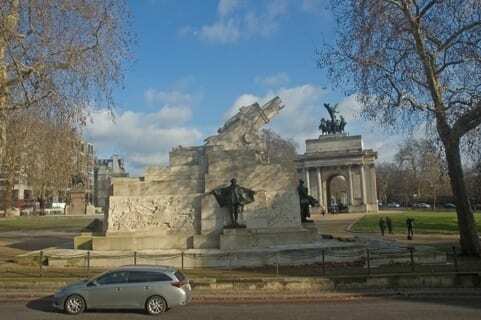 By then the bus already was on its way to show us some of London most famous must sees: Trafalgar Square, Big Ben, The Houses of Parliament, Westminster Abbey, St James Park, The Royal Albert Hall, Marble Arch, Harrods, Buckingham Palace… all come with an audio-commentary and a good pop soundtrack. On the way we noticed many pedestrians looking at us with some kind of envy and we toasted them with an undeniable feeling of being privileged! A little later on the waitress served us a warm scone with clotted cream and strawberry jam, proposed more tea or coffee and we just felt wonderful. One hour and an half later the tour had already came to an end and we reluctantly left the bus our hunger more than satisfied. 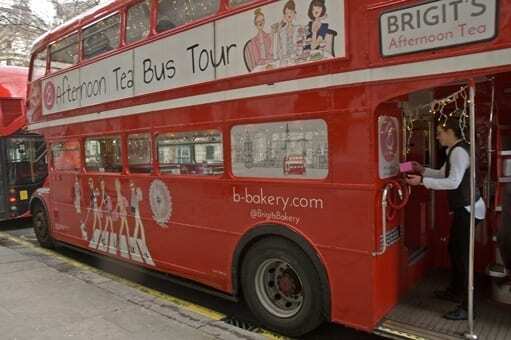 The Afternoon Tea Bus can also be privatized for special events such as birthday parties, weddings, hen-parties, corporate events… B Bakery also organises special events onboard their buses. 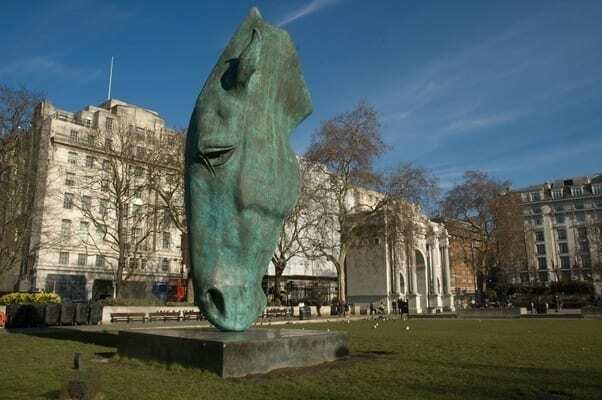 On their website you can thus book for a special Chinese New Year afternoon tea, Gin Lovers afternoon tea with Hayman’s Gin cocktails, Valentine’s Day, Mother’s Day, St Patrick’s, Easter Afternoon Teas… Any occasion is a good one to treat your-self and enjoy these moments of pure pleasure.